Ever wish you could get an alert when your WordPress website goes down? I’ll show you two free ways to do that. In a perfect world, your website would never go down. But, we don’t live in a perfect world, and even the best hosts sometimes have outages. In those cases, wouldn’t you rather know that your site is down? Let’s see how to get alerts by email and/or text message. The Jetpack plugin contains several modules. The Monitor module enables uptime monitoring. Your site will be checked every 5 minutes. If the site is down, you’ll get an email at the address connected to the Jetpack plugin. Monitor will email again when your site comes back up. 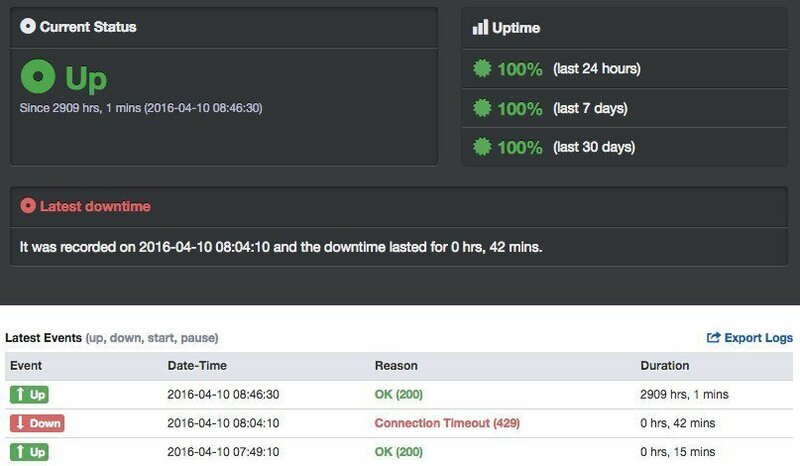 Uptime Robot is an uptime monitoring service with a free plan. It checks your site every 5 minutes. You can be alerted by email or SMS (text message) (using email-to-SMS gateways, not true SMS). The paid Pro Plan includes advanced notifications (alert once or every “x” minutes if down for “y” minutes), true SMS alerts, and other features. We recommend using a solid web host, such as Flywheel and WP Engine, to decrease the chances that your site will go down. Still, it’s a good idea to set up uptime alerts, just in case. Now you have two free options for doing so! If you’d rather not be bothered by uptime alerts, or you wouldn’t know what to do if you received them, you should check out our WordPress Maintenance Service. As part of it, we take care of uptime monitoring for you!